This collection of six Level 3 Ready-to-Reads is filled with fascinating true stories of American History from the Colonial era to the Space Age! 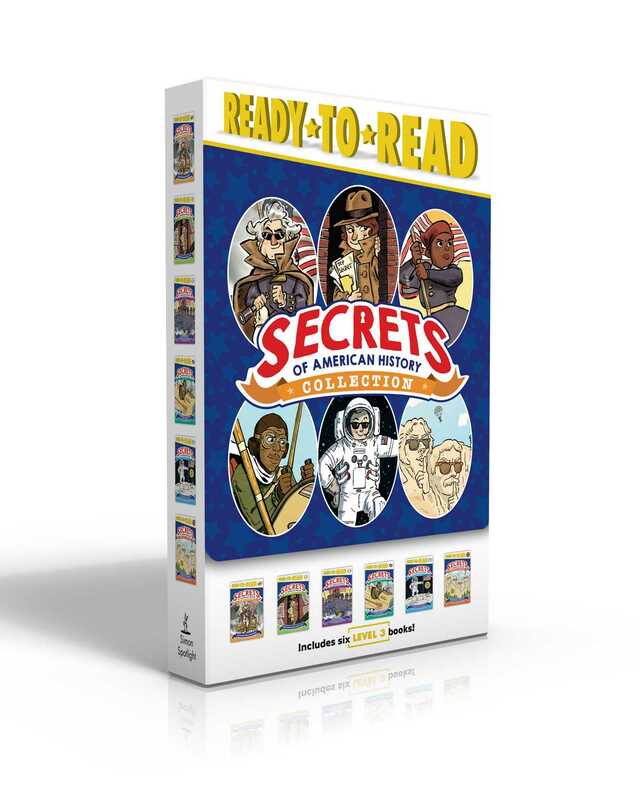 The action-packed Secrets of American History series teaches readers that history is full of surprises! Want to know what invisible ink has to do with the American Revolution? Or why inflatable army tanks were used in World War II? Did you know that Julia Child helped invent shark repellant for the US? Or why can’t you bring a sandwich to the moon? Find out in this fact-filled series of fascinating true tales, wild adventures, and spy missions, and discover the surprising side of American history! A special section at the back of each book includes bonus content on subjects like science, social studies, and math, activities like a recipe for invisible ink and a secret code, and more. There are even fun quizzes so readers can test themselves to see what they’ve learned! Learning about history has never been so much fun! You Can’t Bring a Sandwich to the Moon…and Other Stories About Space!